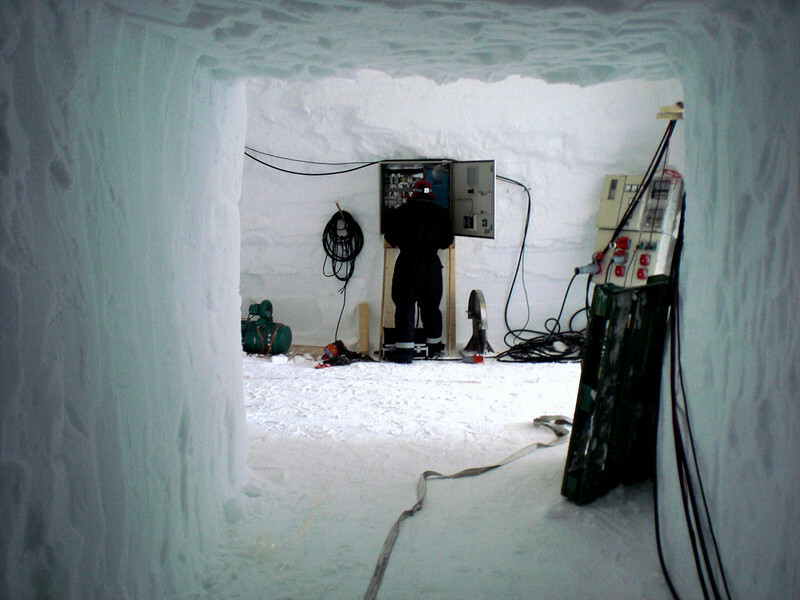 Drilling shallow ice cores and preparing for deep ice core drilling. View to the drill trench from the hallway to the science trench. Kig ind i borehallen fra gangen ind til laboratoriehallen.